Gratitude is a simple yet golden and powerful key that swings open great doors of miracles, possibilities and creative energies. For the last two days I shared with my Facebook Audience in two live calls on unlocking the Power of gratitude. Day 1. Unlocking the Power of Gratitude for Health and Wealth... Understanding and mastering the art of Gratitude unlocks limitless possibilities. What Gratitude does for you? Focus determines your results, focusing on sickness creates more forms of sickness. Be thankful and joyful to God for Health to enjoy more health. 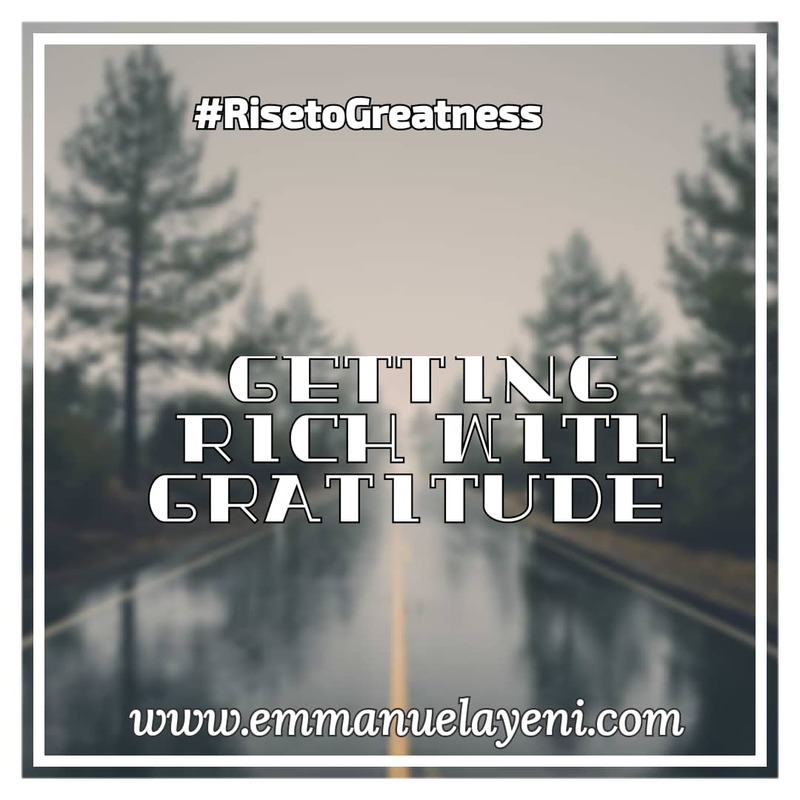 When you focus on wealth from a point of Gratitude you enter a creative plane that attracts more wealth to you. 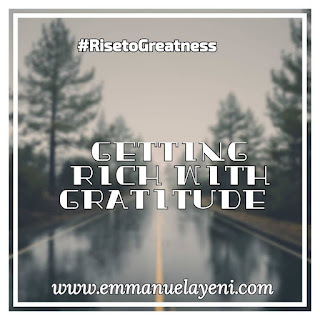 1.Gratitude puts you in charge, this is because it helps you take personal responsibility. 2. It puts you in the right frame of mind for attracting riches in all forms. a. Think about a point in time where you felt, wealthier, healthier and richer, what made you feel this way? Was it some new money , a profitable deal, a new car, a new relationship, a new house, who or what was it? b.Thanking God for life releases the joy in living that makes you feel richer and healthier. 4. The past the present and future are all a point in time, through gratitude, You relive and appreciate the blessings of the past while enjoying ahead the blessings of the future and compressing time through faith. 5. Gratitude opens your eyes to possibilities, reinforces your faith and belief system. PS . I am holding a paid online Gratitude Masterclass and 30 Day Gratitude Challenge for just 30 people. Price is N5000 before 27th, after it becomes N30,000. Bonus: Access to 2 great materials on Gratitude, and my soon to be released Ebook on Gratitude. I hope you find this piece useful as the year runs to an end. In my book Write To Earn: 13 Sure Ways To Make Serious Money Writing Online, I explored different strategies that help you write and make money with meaning while doing so. Discover 13 Sure Ways To Continuously Make Serious Money Writing Online. Have you locked in your seat in my upcoming Personal and Financial Mastery Class? Have you secured your seat for the November edition of PFM? PFM is the CLASS that helps you achieve financial freedom, ends all your Money Worries by increasing your Financial Intelligence. When you register you get a huge N150,000 worth of fantastic bonuses all for an investment of N10,000 only! Wouldn't you rather invest your money in building your own money machine and achieving financial freedom ? NOTE: Make Money and Make Meaning ! If you want to make more money from your skills, you need to get my new Ebook today. 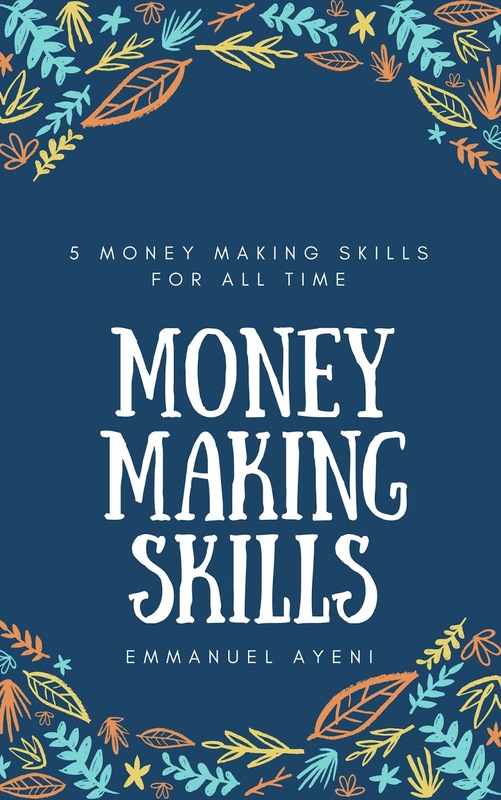 'Money Making Skills' takes you by the hand while showing you the 5 Life changing money making Skills that will make you income and impact today and always. It sells for a measly N1000 ( cheaper than a box of Pizza ;) ) only so that everyone can afford it or gift it out to others who need to be empowered around you. 🙌 📹 🎬 🎬 🎬 🎬 🎬 🎬 📹 🙌 . ... .
Do you have or lack the money making skills? Most people don't need money , what they lack and need are the right skills which will make money to pay the bills and finance dreams. To be relevant in your world in these exponential times, there is a need to regularly evaluate your rate of personal development . In this new easy to read Ebook, I share Five Great Skills That Will Change Your life, make you more money and meaning than you have ever dreamt of. If you found value, you can touch more lives and impact others too by sharing this post. To join the next edition send a message to +2347033875827. This 3 Day Online Class holds online in a closed Facebook Group. This edition costs N10,000 but it will be open for registration this week at an amazing discount only for a limited time, if you are among the early action takers. 👈 Free copy of my new Money Book Report: 10 Ways To Become a Money Magnet. PSS. The $27 Seminar cost can also be made in other currencies or cryptocurrency.